The Alarming Company is accredited by the National Security Inspectorate – the leading certification body for the security and fire protection industries in the UK. Our gold accreditation means that we have a long track record of performance, reliability and stability. It means that we operate to rigorous quality standards (ISO 9001:2008) as well as meeting all relevant British and European standards for technical performance. NSI Gold requires us to security screen all our relevant staff and provide them with high levels of training and supervision. Square deal is Portsmouth City Council’s Fair Trade Scheme and is run by the Trading Standards Service. It helps customers find companies that operate fairly and honestly to ensure consumers can make informed purchasing decisions rather than to sort things out after they have gone wrong. 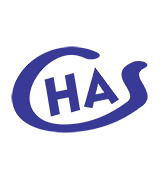 CHAS is used by public and private sector organisations to ensure contractors have acceptable health and safety standards and records. More than 500 public and private sector buyer organisations, such as councils, housing associations, NHS trusts, use CHAS to assess their suppliers. 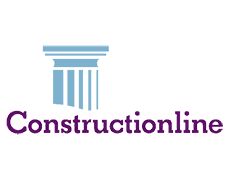 Constructionline is the UK’s largest register for pre-qualified contractors and consultants for the construction industry, allowing buyers to confidently source suppliers quickly and efficiently.